. استمتع بالخدمات الراقية والضيافة التي لا مثيل لها بهذا الفندق في هوبارت. إن تسجيل دخول/خروج سريع, تخزين الأمتعة, Wi-Fi في المناطق العامة, ركن للسيارات, التوصيل من وإلى المطار هي جزء فقط من الخدمات التي تميز Edinburgh Gallery Bed & Breakfast عن باقي الفنادق في المدينة. بالإضافة لهذا,تتضمن كل غرف الضيوف مجموعة واسعة من وسائل الراحة . بعض الغرف توفر حتى تلفزيون بشاشة مسطحة, غرف لغير المدخنين, تدفئة, مكتب, ميني بار لإرضاء أكثر الضيوف تطلباً. كما أن مجموعة الخدمات الواسعة الموجودة في الفندق لضمان راحتك تترك لك الكثير من الخيارات لقضاء وقتك أثناء فترة إقامتك. يشكل Edinburgh Gallery Bed & Breakfast بخدماته الراقية وموقعه الممتاز، قاعدة مثالية للاستمتاع بإقامتك في هوبارت. This place was really lovely, an historic house with interesting decor that looks like the owner has spent a lifetime traveling and collecting interesting art and artifacts. It's a B&B but the host is very accommodating and lets you help yourself to biccies, fruit, toast, tea etc as you need it at all hours - even has 2 minute noodles at the ready in case you arrive late and have the munchies (or in case nothing is open, as may be the case in different parts of Tassie!). A little note to groups with elderly travelers- there are stairs and no lift. If you or those in your group find stairs challenging, be warned. 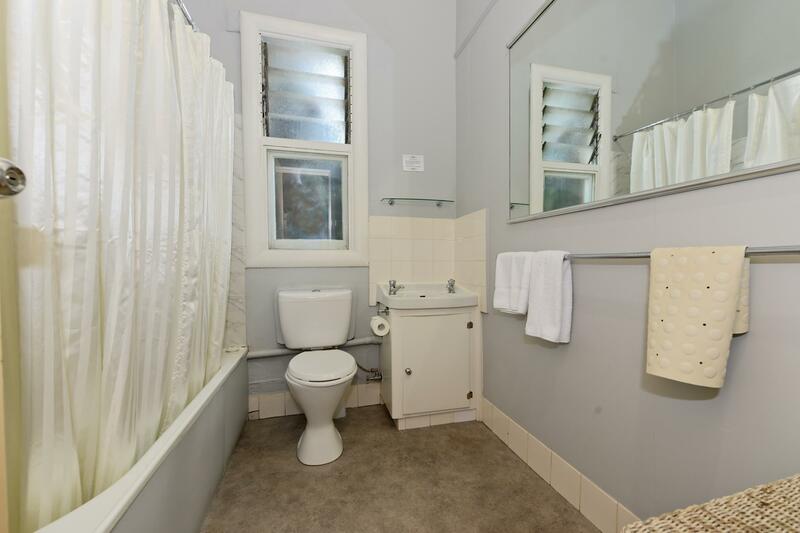 Even if you get a ground floor room - the shared bathrooms are on the second floor. Great location close to various sights. We had a wonderful time at Edinburgh Gallery Bed & Breakfast. The host, John, is friendly and he made sure that we had a comfortable stay. The breakfast that was provided came with bread, cereals, milk and many types of spread. 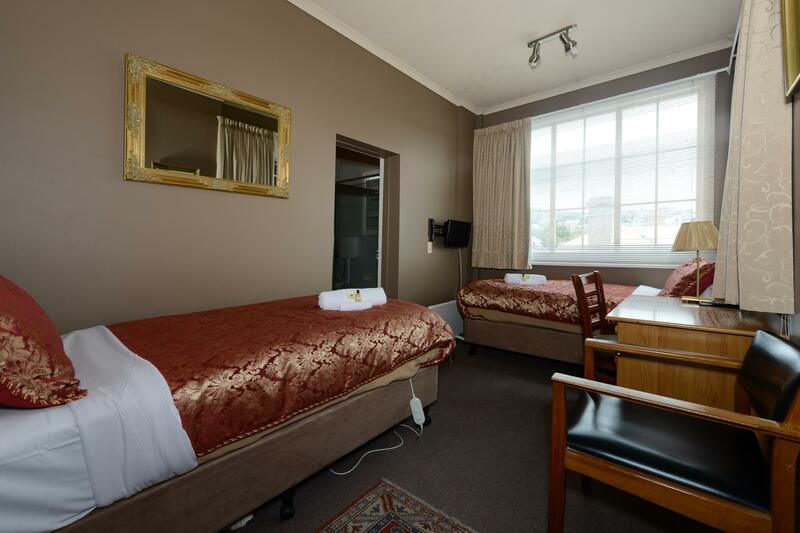 We occupied the Verandah Suite and it was big enough to accommodate 5 people. The beds were comfortable. Even though it was an ensuite, I used the common toilet and showering rooms which were, by the way, very clean. 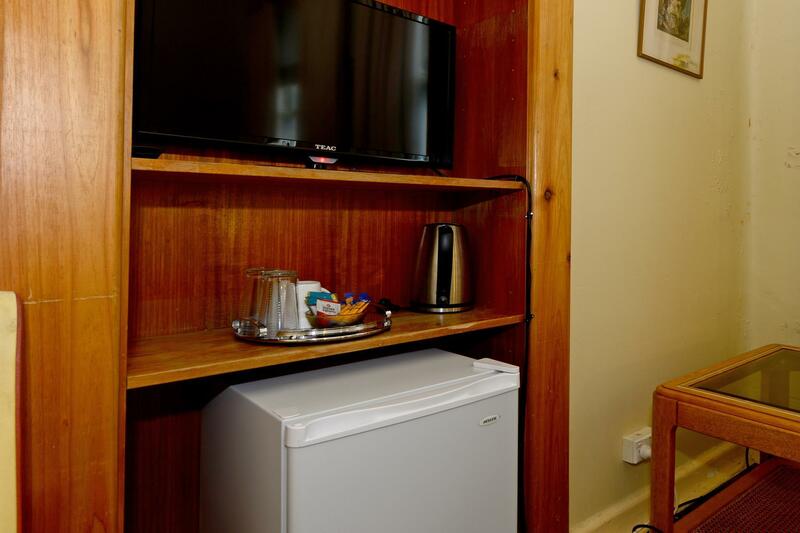 Strong and reliable Wi-Fi is provided anywhere in the property. A walk from Edinburgh B&B to the city took us 15 minutes. Overall we had an awesome stay! Our host John was the absolute highlight of our stay. He was welcoming, friendly and always with a good advice for our day trips and journey in general. The bed and breakfast was charming and excellently located. There was a private parking off the streets. The kitchen was a “help yourself” and very convenient. We had everything needed at our hands and much more. Unfortunately we were placed in the twin suite in the lower floor, which we had overlooked did not have a private bathroom and was poorly isolated both heat wise and sound wise. The traffic from the street outside was disturbing. We upgraded to the family room for 2 nights, and found it very comfortable and charming. We loved it. The shared bathrooms were very clean and easy to access at all times and this was not an issue. All in all we enjoyed our stay very much - thank you John for a lovely stay, we hope your business will thrive in the future. I booked the family suite but it didn't mention there is no bathroom or toilet or even a sink in the room! I think it is a cheating. The decoration outside the room is strange. You have to check in yourself. No one clean our room or change the towel as we stay here for 2 days. No service. We have 6 rooms with bathrooms and 4 that share 2 bathrooms down the hall. What facilities each room contains is clearly indicated in all advertising. Please ensure you read what's available before making any bookings. Also be aware that the room was a cheaper price due to having to share the bathroom. Yes this is an old building, it is in fact 108 years old which is part of its historic charm which has attracted visitors from all over the world so they can have a unique Tasmanian experience. I highly recommend this beautiful building for your next trip. Everything was immaculate. Decorated with love. Cleanliness is top priority with me and this awesome place met my expectations and more. Couldn't be happier. So convenient. I could come and go without any problems and topped off with parking facilities. The best hotel ever for me and my husband. The old house makes the hotel so interesting and we stayed there which had home feelings. The hotel owner is very nice and the decorations in the hotel are very special. Nice kitchen and different breakfast choices. Location is in the centre of CBD, so convenient to go shopping. Overall, if you like old fancy style, it is the perfect hotel, strongly recommend. The hotel was a piece of art and very homely . The owner was very hospitable and very nice to us. Their dining area was very good and stocked and a great choice. Only issue for us was to use a shared washroom / toilet but then again all three they had were very clean and well maintained . I have booked the one night stay for my family of 4 as family of 3 by mistake. John who managed the place were quick to arrange for additional bed upon our check-in. Breakfast were served in a common dining area which we get to see other guest staying in the building. The location is on a busy corridor during the day but quieter during the night. Easy access to touring with on site parking. Continental breakfast at your leasure and own time frame. Met other guests in this relaxed and cozy establishment with wooden floors and staircases. I really enjoyed my stay in this lovely B&B. 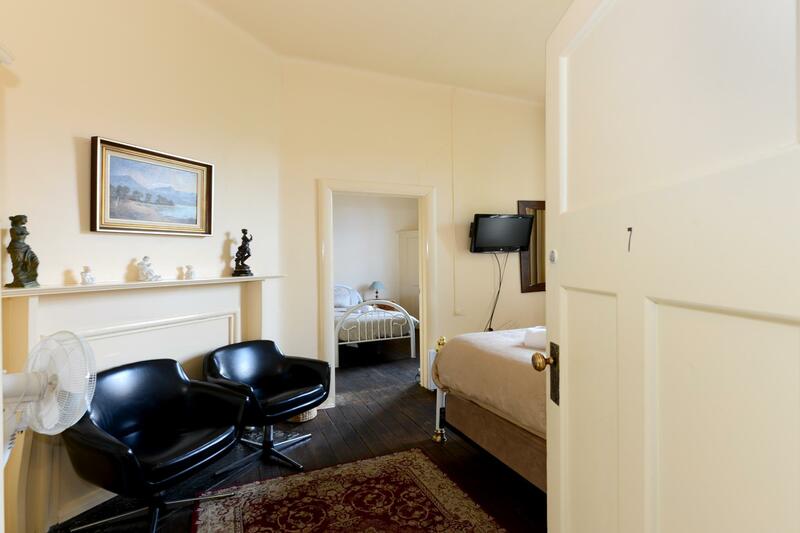 The refurbished Victorian building is beautifully decorated with the host's interesting and eclectic art collection. The atmosphere is relaxed and friendly, and the facilities are squeaky clean. Very close to everything that you need to see on a flying trip to Hobart. I didn't think my single bed room, quite noisy with the window closed, and shared facilities rated as 4 star hotel. 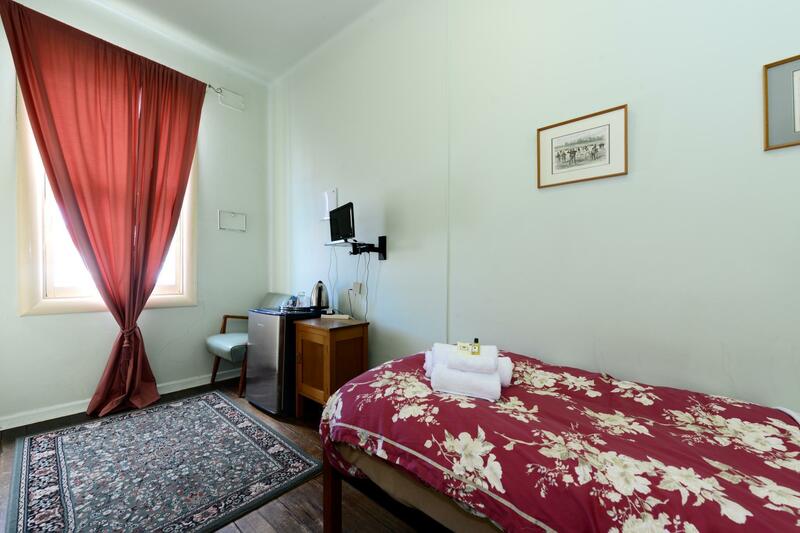 Most of the rooms are doubles -some with ensuites(? ), so I drew the short straw on the available rooms I guess. However, it was great value accommodation and I would happily return. Very popular spot for all the reasons outlined above and you need to book well ahead. Friendly owner, great kitchen, something different. Overall satisfied the purpose for a B&B facility. The toilet is too cold to take a bath as it's windy. The breakfast is basic. 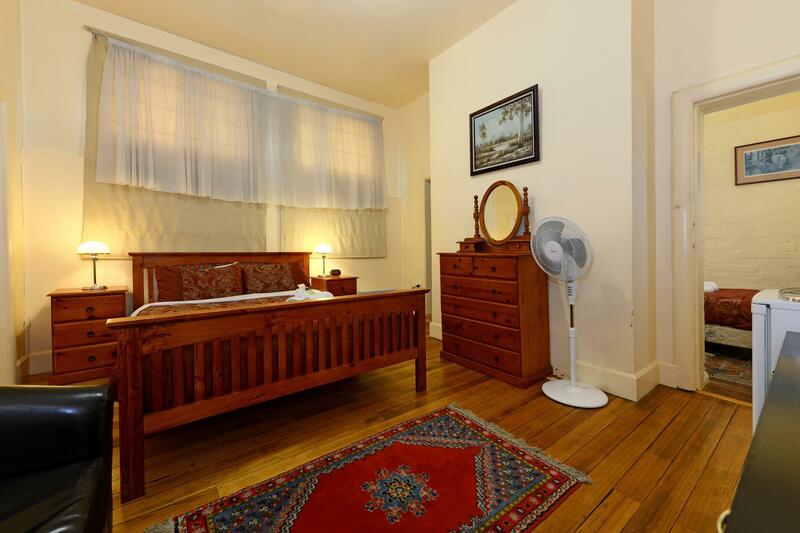 There are better hotel with good facility, lower price and in the center of the CBD. I enjoyed my stay so much. John was very welcoming. His house is so beautiful with his photos and books. The only downside is that the bathroom is too far from our room (like 2 floors). Next time we will book one with private bathroom. It was only a short stay, but we enjoyed it. John was very helpful & assisted us as required. We were pleasantly surprised by the number of choices for breakfast & well appointed room. I recommend it to anyone requiring a short stay. My stay at Edinburgh was wonderful, everything was perfect. 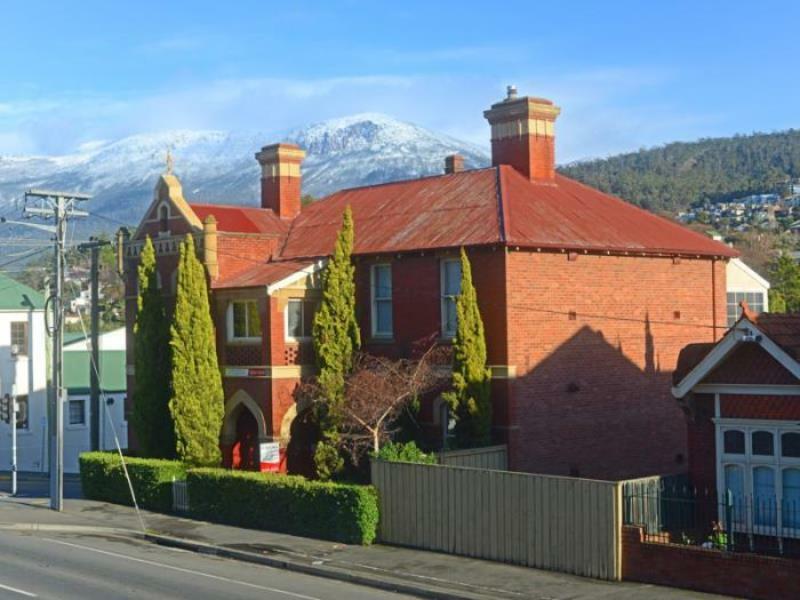 The location is great, only 1km to Salamanca Markets, a five minute drive to Cascade, and close to many restaurants. The B&B has a nice homely feel to it with a nice kitchen area for guests to meet and there are awesome home made cookies. 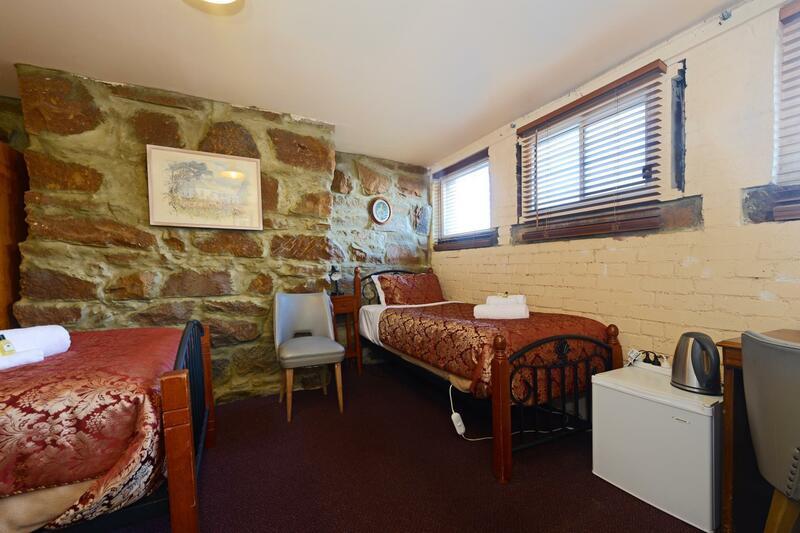 The room was adequate for the price and I most certainly will stay here again on my next visit to Hobart. I was only there for two nights and only briefly saw any of the staff, my key was waiting for me when I arrived, and as I was paid in advance I could just leave my key behind when I left. I did not have a chance to use the breakfast facilities but they looked like they would have been good and available through the day. A very straightforward and user-friendly experience. Because of Hobart's one way system and hilly terrain, I spent some time finding my way into and back to this hotel each time! The bathroom/toilet squeezed onto the balcony with the 2 single beds was certainly not 4 star, but the main room bed and furnishings were very nice. We also enjoyed dining area for help-yourself continental breakfasts. The stay was good. The room is comfortable, some beds come with electric blanket and the room is clean. The common kitchen have tea, coffee, bread, jam, milk, instant noodles supply, you can have your tea and food anytime of the day. Only the bathroom is small, the basin is mini size.